Discussion in 'Maverick 88 Pump Action' started by DHonovich, Oct 21, 2010. 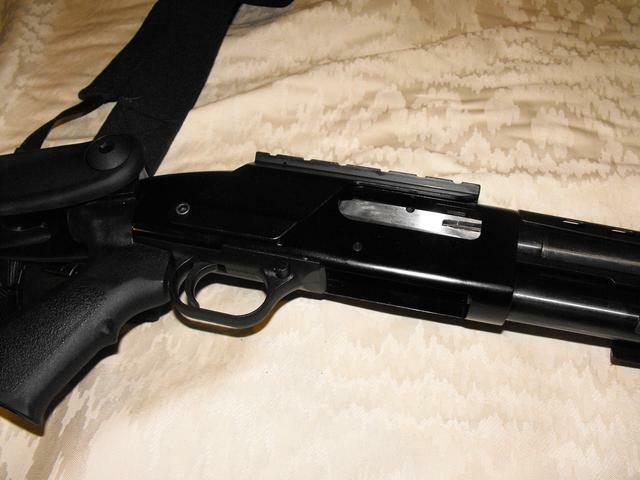 My wife has a Maverick 88 12ga with a 18.5 inch barrel under her side of the bed. I bought her a heat shield for a tactical look. Any heat shield for a Mossberg 500 fits the Mav 88's. 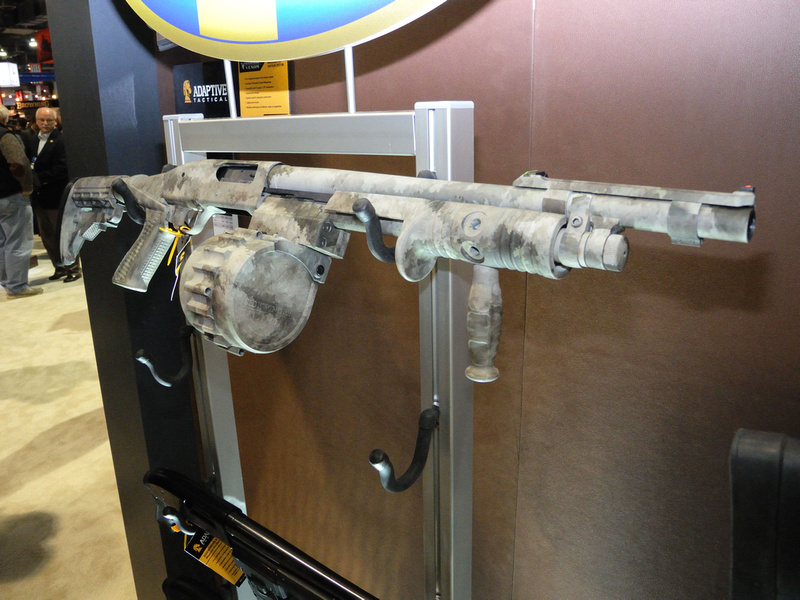 Seems like the list of accessories for the Mav 88 is just about as long as the Mossberg 500. 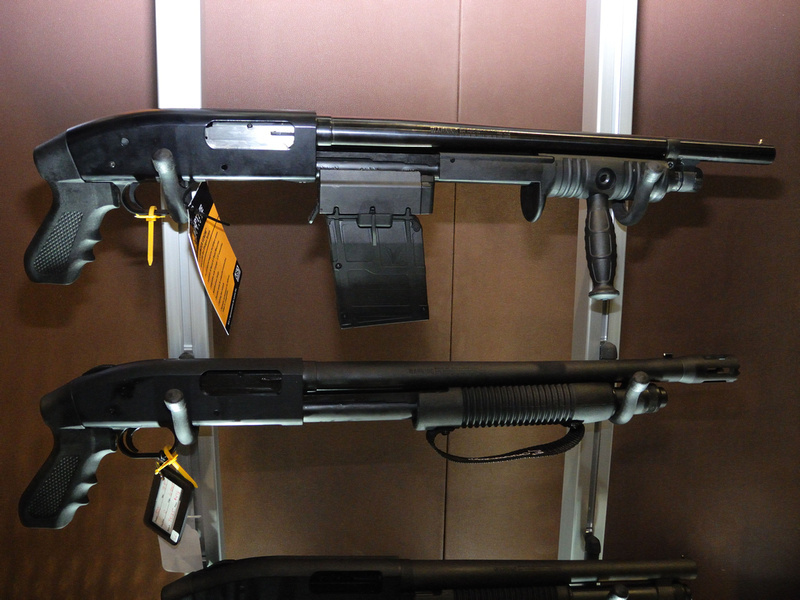 Pistol grips, Knoxx recoil stock etc, Changing mag tubes and barrels with other models of the 500 and the 590's. 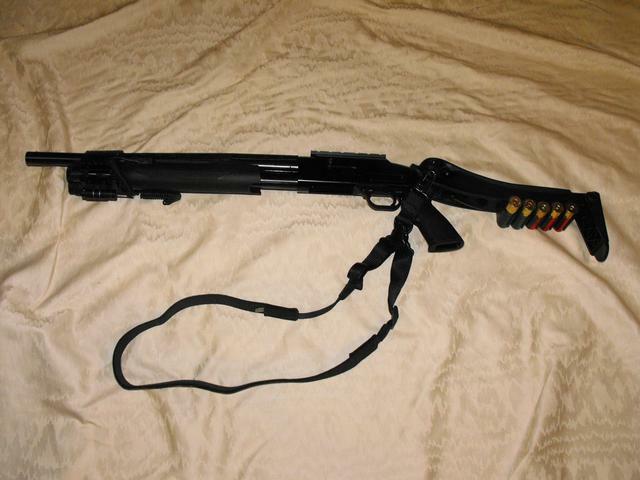 Very inexpensive shotgun that can be modified with accessories or more. Hey NASA, what's the specific set up you have on your 88? Could you give me the details? Thanx. It is not what it was. I started off with a standard 88 with the 28 inch vented rib barrel. At the Fort Worth Gun Show, I traded the barrel for an 18-1/2 inch cylinder bore barrel, picked up an ATI top folding stock and the ATI shell shot holder, (Don't get one in my opinion), an ATI heat shield and a UTG Tri-Rail. I cut the heat shield off where it clamped to the barrel in the front and used the UTG Tri-Rail to hold it in place. I used a die-grinder to open up the fore-end where it would not bind on the clips the hold it to the barrel about midway on the heat shield. I picked up the laser and light, both with the remote switches for CombatHunting.com and put industrial Velcro on the fore-end to hold the remote switches. Can't remember where I got the AimTech saddle mount picatinny rail for the receiver, you can do a look up and find them. Same as fits a 500. I got the UAG red/blue dot 1x25 from someone at Amazon as well as the bi-pods I have. Currently my 88 stands just with the Heat shield/Tri-rail and a Buck-Sight 3-9x40 scope I picked up at Walmart with see through Weaver rings and back to the synthetic stock. I had been thinking about going with a 24 inch rifled barrel for an 835, changing out the magazine with an 835 magazine, so I could put a Choate +3 extension. I know that I don't need nor could I use a 3-1/2 inch chambered barrel but I already have an 835 and I could have more versatility all around for my 12 gauges. Like I say I have just been thinking. My buddies from years back called me Star-Gazer because they all thought my head was in the clouds. On lasers, the majority of them are not suitable for day time use but nice to have lower light situations. In the dark a light is necessary and in most areas laser and light are not legal to use to hunt. On sights and scopes, get an inexpensive laser bore sight, it will pay for itself in a reduction in ammo you burn through getting it sighted in. I will get another Knoxx recoil reducing stock for the 88 or possibly a Kick-lite. I haven't experienced the Kick-lite yet. None of my current buddies use any recoil reduction and several of them just can't seem to get their scabbed up shoulders to heal up. What can I say, maybe I have been hanging out with the wrong bunch of folks. I have probably said much more that you ask for. Just do what you want to do with it. the limit is your imagination. 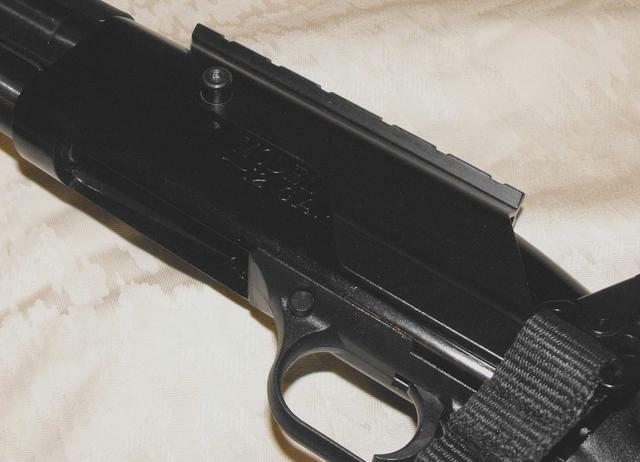 If you want a pistol grip, I would suggest the Knoxx recoil reducing grip. It will still be legal on over all length with an 18 inch barrel. Some pictures as it was. I sold the ATI folding stock to someone that wanted it for Cool not Comfort. The Sidewinder Venom™ pre-configured magazine-fed shotgun system combines Adaptive Tactical's state-of-the-art 10 round Drum magazine with the Maverick 88™ security model shotgun. It's lightning-fast reload action cycles 12 gauge rounds consistently and reliably for the ultimate in performance for defense, range or competition. 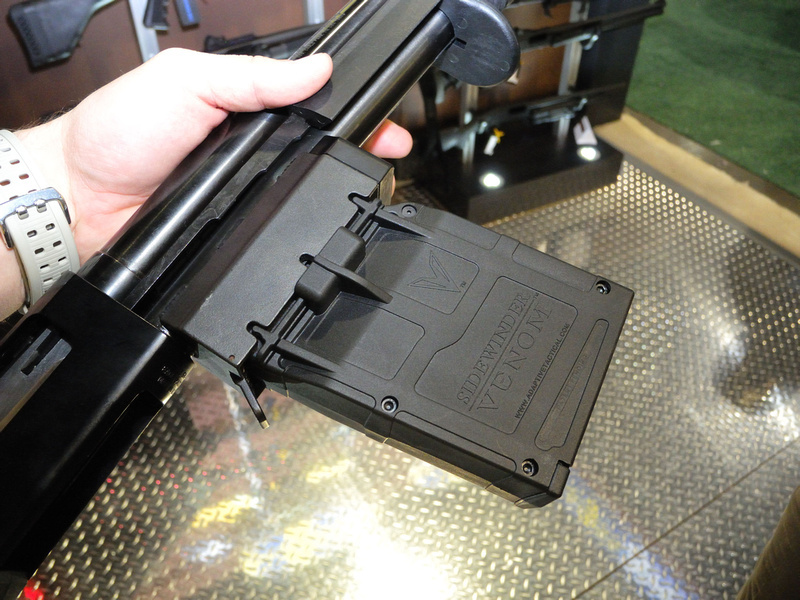 The Sidewinder Venom™ pre-configured magazine-fed shotgun system combines Adaptive Tactical's state-of-the-art 5 round Box magazine with the Maverick 88™ security model shotgun. It's lightning-fast reload action cycles 12 gauge rounds consistently and reliably for the ultimate in performance for defense, range or competition. Those used to be made by Knoxx, though they discontinued them years ago. I've seen the old drum kits going for $500 on a few auction sites until they dried up. When I talked to knoxx about buying one, they had just recently sold their last one and during the conversation, I asked why they stopped making them and they said they were never happy with the plastic and a few other little issues and they had other projects on the table they were more interested in. Yes they were formally produced under Knoxx when Gary Cauble was the owner. 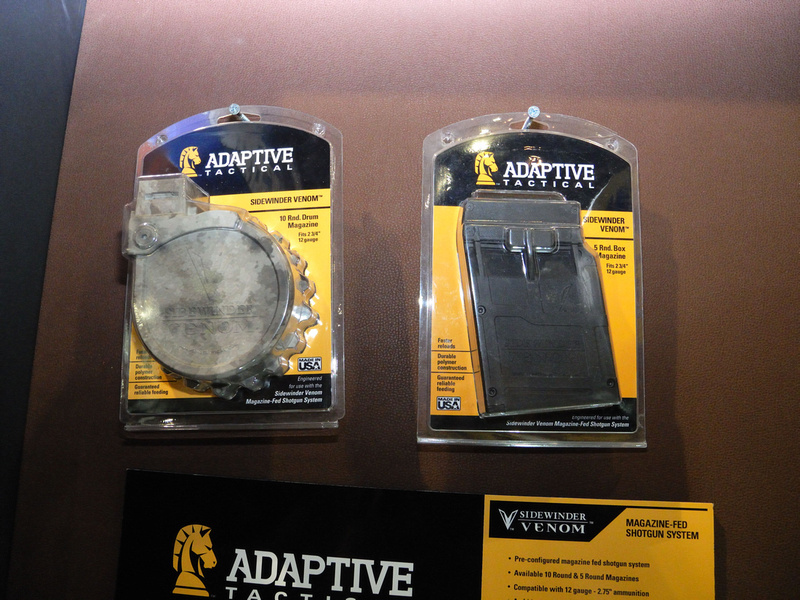 They have been updated and are now being produced by Adaptive Tactical which is run by a relative of Gary. The systems are very similar to the originals but have some updates that seem to have improved the minor flaws it used to have. I didn't get to throw any lead down range with one or cycle it but it seemed like a pretty solid system. Do you have any idea of what their MSRP is? 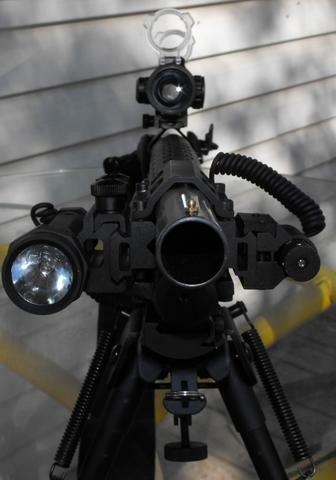 And what modifications need to be performed to work on a mossberg 500 or even a 590? I don't think they are offering them as kits anymore but if you send them an email they might send you a kit instead. When Knoxx was selling the kits way back when, everything needed for the 500/590, plus forend, drum, etc., was way under the $300 mark. And dealer price was about $225 from midwayusa at the time if I'm remembering correctly. $600 for only a few more rounds than we already have is a lot to swallow. I'm afraid they are pricing them a little too steep. If you stop and think about it a minute, you can buy a saiga 12 and buy a 20 round drum for about the same price as buying a mossy and buying this kit and in the end have a semi auto with twice the capacity just seems like a no brainer to me. Still, I'm glad to see this on the market again. Maybe some of the competition guys will buy them. Those prices include the actual gun with it installed already. If I see them tomorrow I will try and see what it would be if someone like you were to buy one to install on your personal shotgun. That does sound more reasonable. engineering 101-how to take a cheap, lightweight, fast HD gun and make it into a heavy, awkward jammatic, all for about the same money as a carbine. Or is it Marketing 101? Well, it is expensive but I think the best shotgun weapon light (and it's incredibly bright) is made by Elzetta.